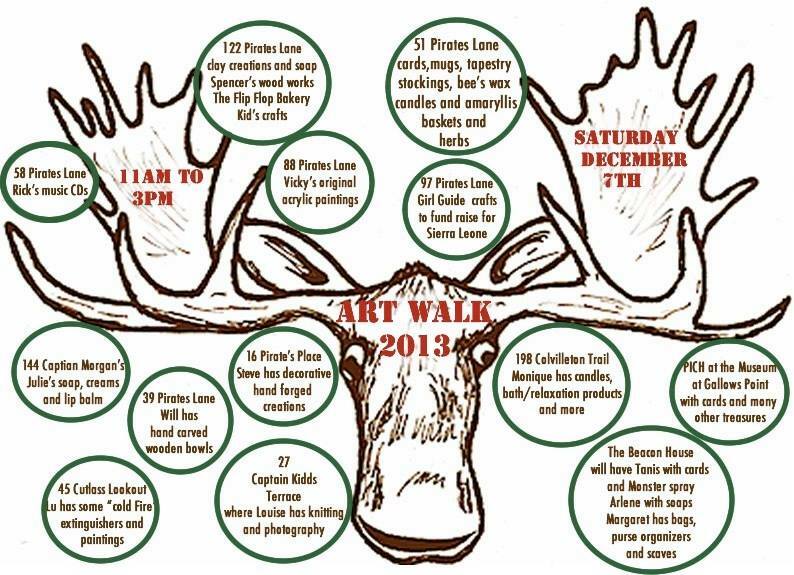 Protection Island is holding its annual ArtWalk on Saturday, December 7, 2013! With 13 stops and many more artists, this is a truly great way to get to know the island and meet friendly islanders. 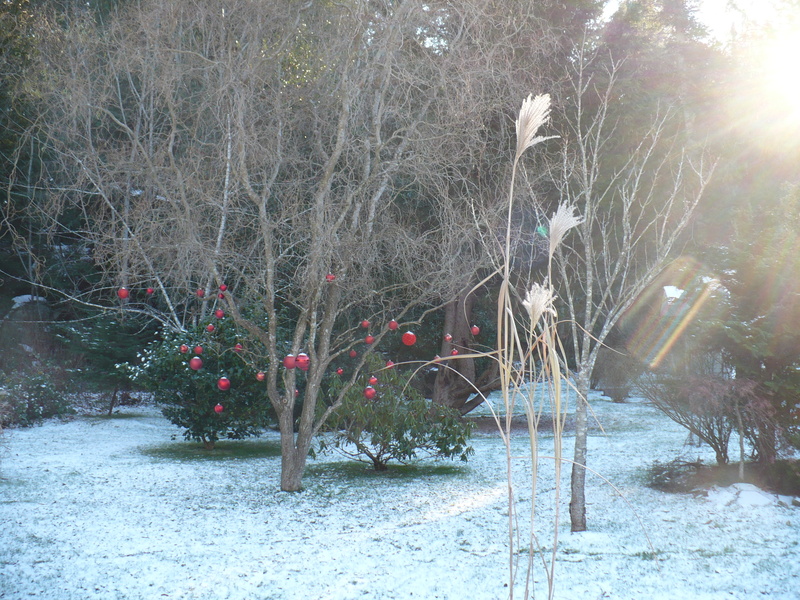 It is also an excellent source of locally made, creative Christmas gifts. 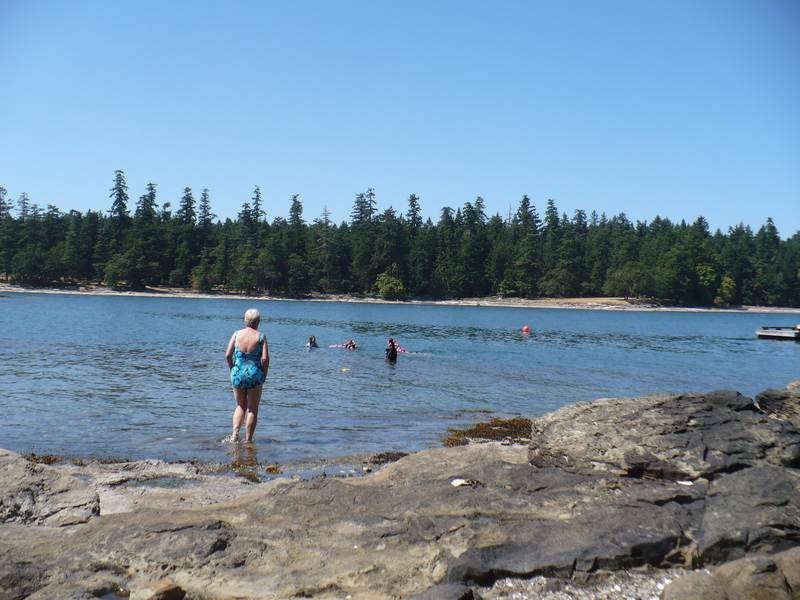 Come to Protection Island’s Art Walk! F or such a small community, we have a fair number of community events to keep us busy. Some of these, like trivia night at the pub and library time, are regular weekly events. There are always some extra events as well, like last month’s myriad of Halloween themed parties. This month is no exception. Already, there are several fun events open to the public. On November 4th evening, the Protection Island library is proud to sponsor the book launch of “Dancing Hand” written by islander David Essig. On Saturday November 9th, DIGS community garden society is hosting a Buddy Holly night which will include a screening of The Buddy Holly Story followed by a 50s dance, an auction of garlic from the garden, and prized for the best costume. Good old-fashioned community fun! As always, our local (and only) pub will offer several nights of live music. 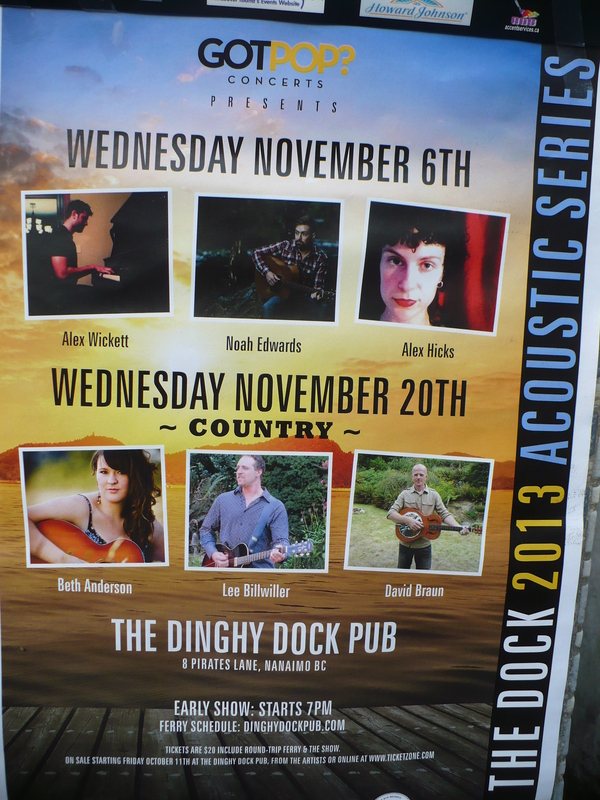 On November 6th, local folk-ish musicians Alex Wickett, Alex Hicks, and Noah Edwards will play. On November 12th, a country set will feature Beth Anderson, Lee Billwiller, and David Braun. 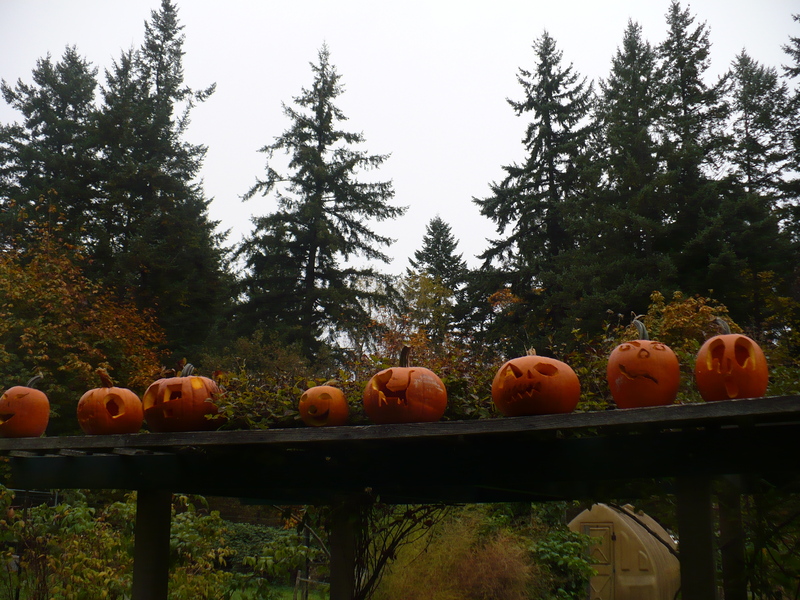 Protection Island is busy right now with lots of Fall and Hallowe’en related events. 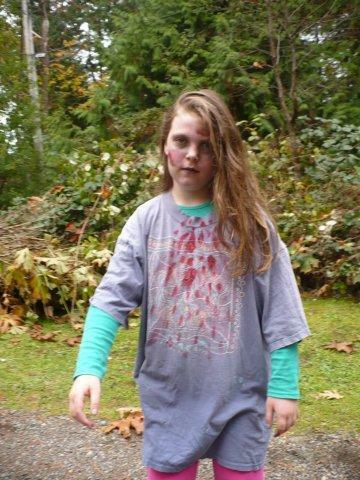 So far, the community garden has held its annual pumpkin carving event with the Little Diggers kids program, the library sponsored story telling, and the 1st Annual Zombie Walk scared the island. Coming up are some fun gatherings for more pumpkin carving, treats, and costumes at the library and our local haunted house, as well as the big event: Hallowe’en on the island involves a fantastic haunted house, trick or treating with LOTS of booty to be had, and a community bonfire. What fun! Well the rains and storms are here and summer is well and truly over. 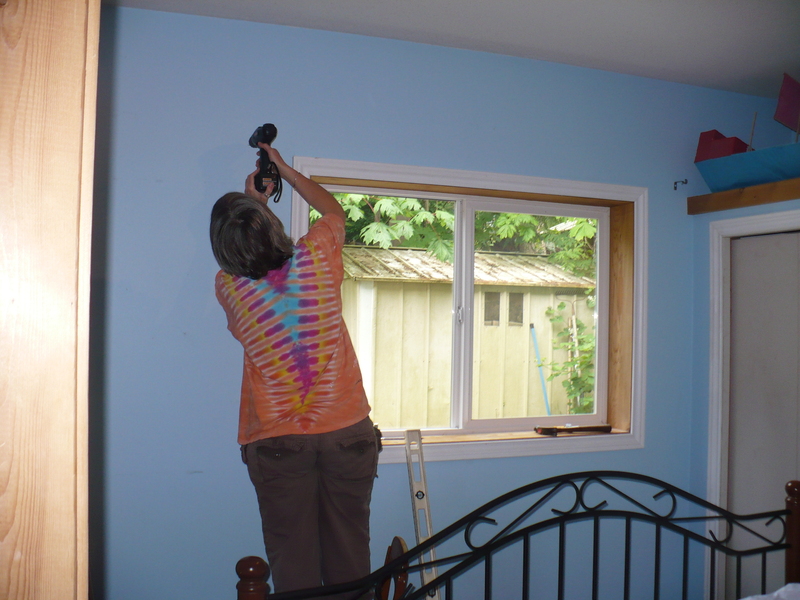 It is time to take stock of the first four months hosting guests at Ahoy Guesthouse. We are very pleased that, despite the fact that we decided to open only a little more than a month before our June 1st opening, we managed to create a comfortable and fully stocked guest unit that was much appreciated. It is exciting to have been very busy over our first season; big thanks to islanders and friends who have helped us pass the word along. We certainly wouldn’t have been as successful without loads of support from neighbours, friends, and family. Guests have consistently given us very good reviews. Many have commented on how they felt right at home the moment they walked in. While we continued to add supplies – and a new fridge – in response to guest comments and our own observations, guests really seemed to feel that they had access to all the items and information that they needed. Each guest party wanted something slightly different from their experience. Some wanted a peaceful escape from “real life”, some just needed a bed to lie down on after attending weddings or other social activities with islanders, and others wanted to interact with us a little more and learn about island living. We did our best to meet these diverse needs and, judging by the reviews, it seems that Ahoy Guesthouse was able to be all of those things. We sure had fun meeting everyone and sharing our island with them. In closing, thanks so much to everyone who helped make Ahoy Guesthouse a great place to stay at this summer, to friends and neighbours who referred people to us, and to our guests whose friendliness and enthusiasm were a pleasure. 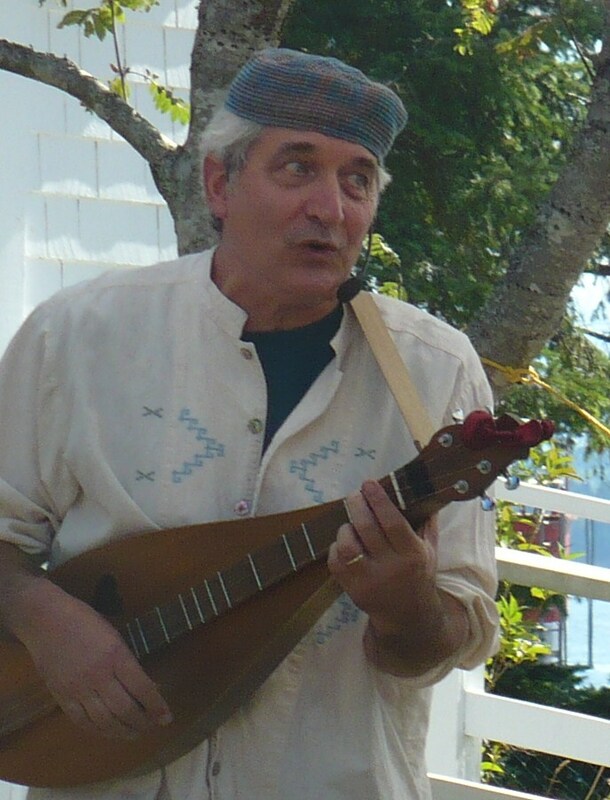 Renowned musician and writer Rick Scott will perform at the Nanaimo Child Development Center Telethon, along with his grand-daughter Lilu Scott, the Kerplunks, and other performers. See http://www.nanaimocdc.com/events/telethon/ for the schedule. 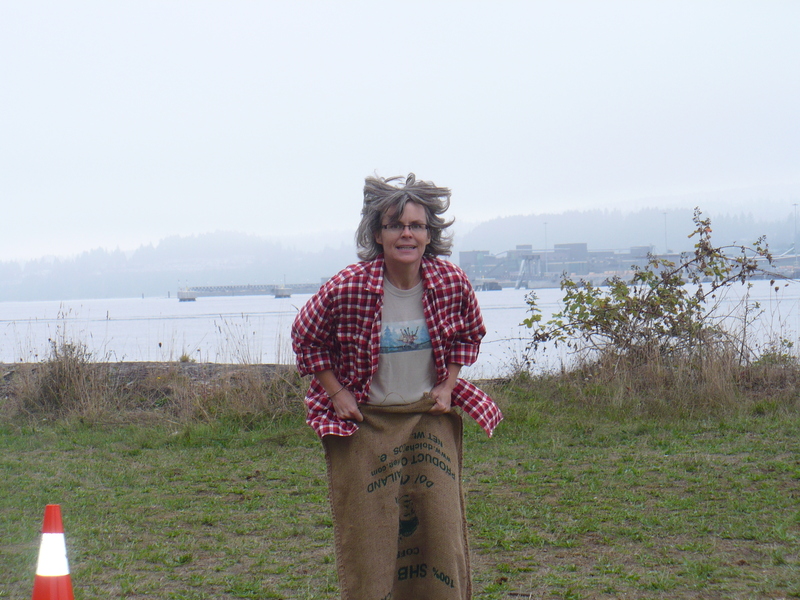 Your Host finding her bounce in the Fall Fair Sack Race! Enter your email address to receive news and receive notifications of new posts by email.